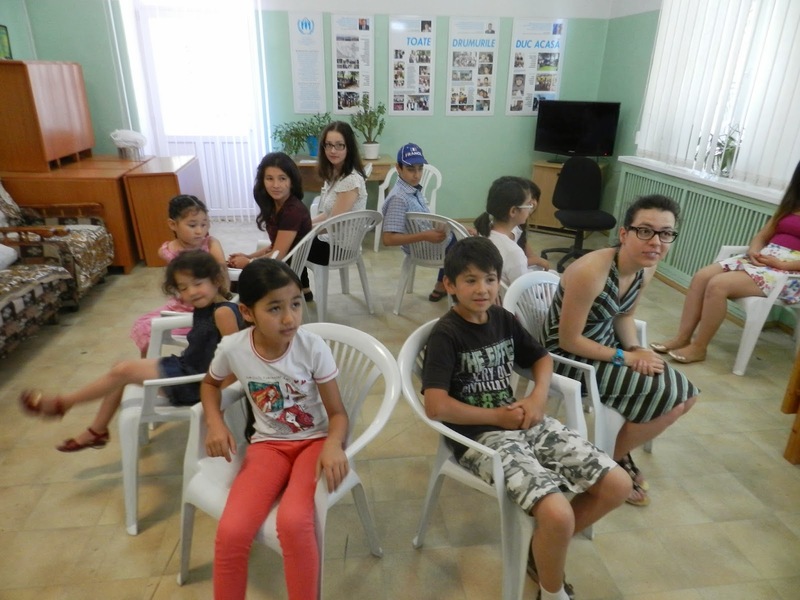 In July 2014, the Charity Centre for Refugees, an implementing partner of UNHCR Moldova, gave start to the Summer School for refugee/asylum seeker children. This initiative aims to expand speech and Arabic language skills, to inspire and motivate towards creativity, art, music, history, multicultural background. 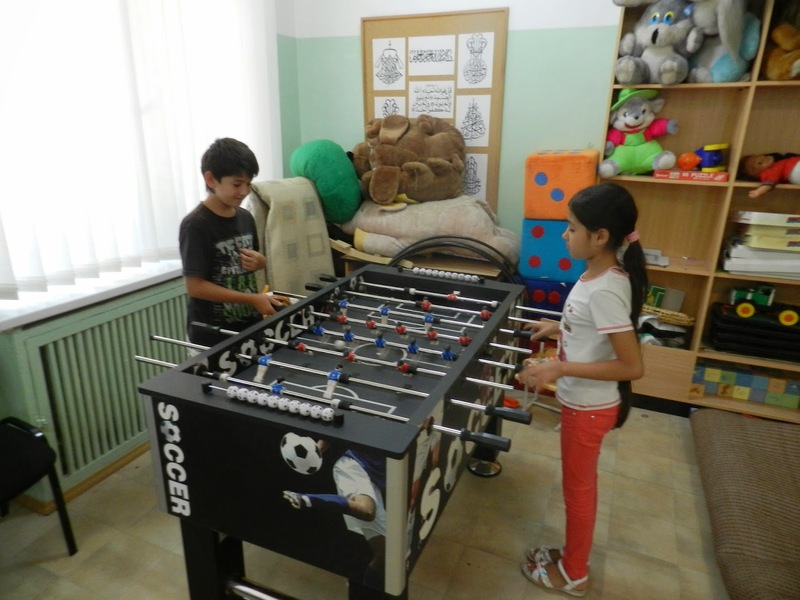 Every Tuesday and Thursday, refugee/asylum seeker children have a programme with diverse activities. 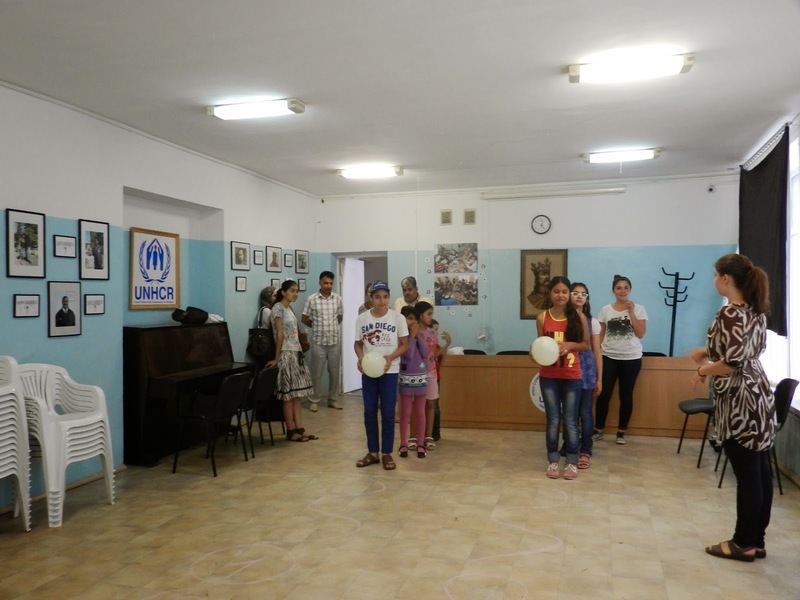 The day of the Summer School starts at 10 a.m. in the morning with Arabic language lessons given by Mrs. Amalid Karim, a refugee who worked as a teacher at primary and secondary school in Iraq. These lessons seek to boost the level of Arabic language in written and oral forms. 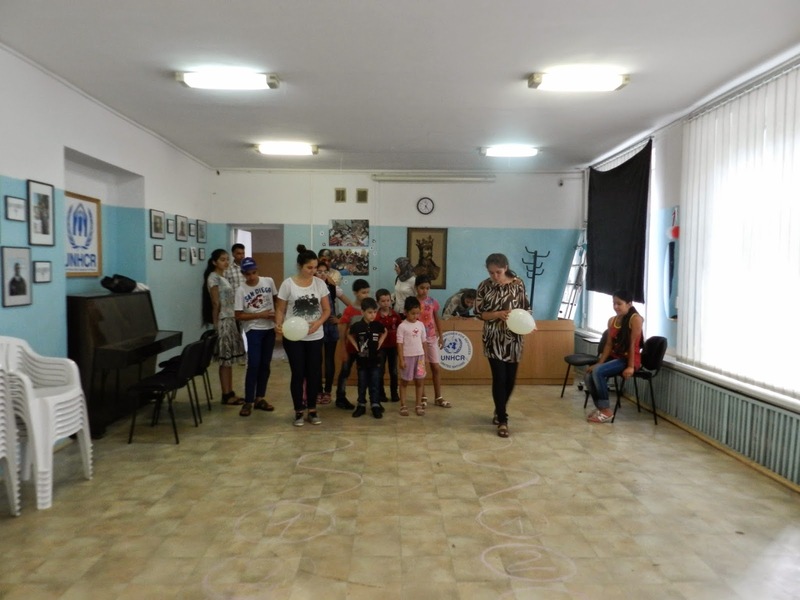 But the most important is to help children not to forget their mother tongue, because may be one day they will have opportunity to return back to the country they were forced to leave. 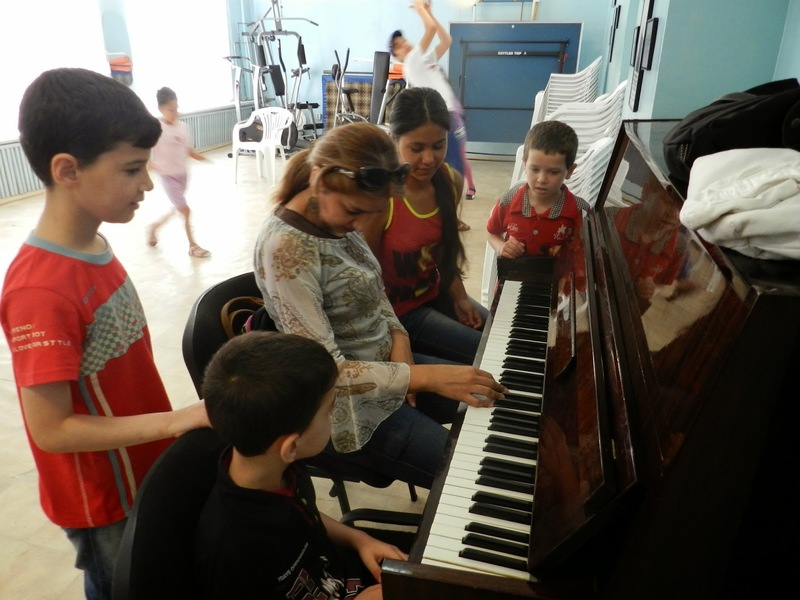 Besides that, children enjoy studying music taught by Mrs. Dima Deiri, a refugee from Syria. 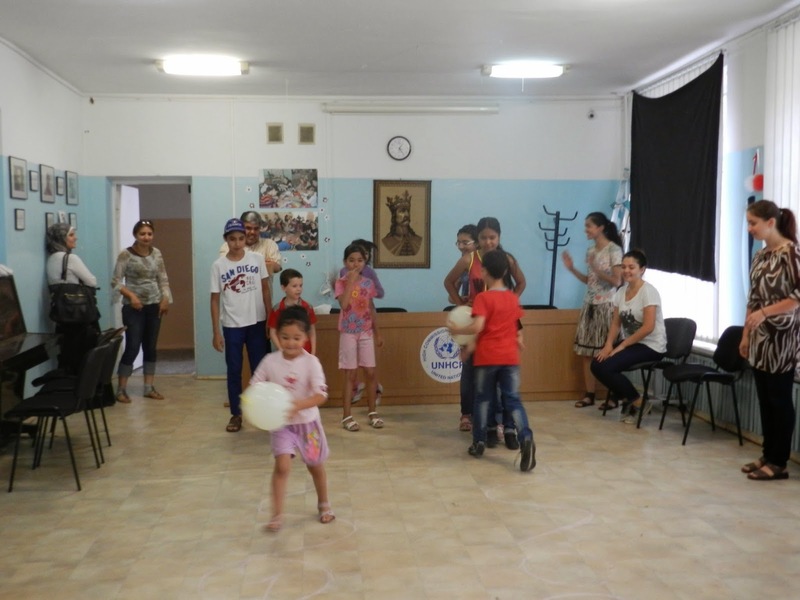 While participating in music activities, children are enhancing language and social-emotional development and increasing musical skills and knowledge. 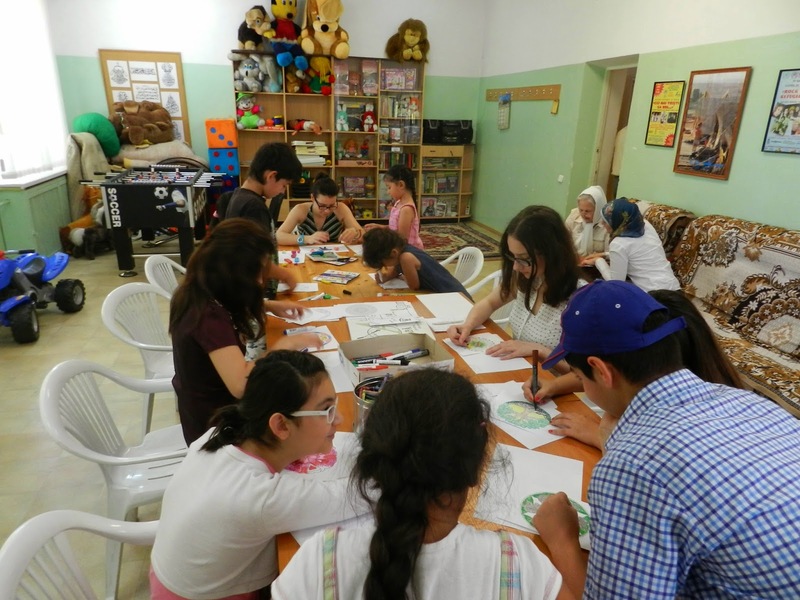 With the help of local and EVS volunteers, refugee/asylum seeker children have art lessons, where they express inspiration and creativity. 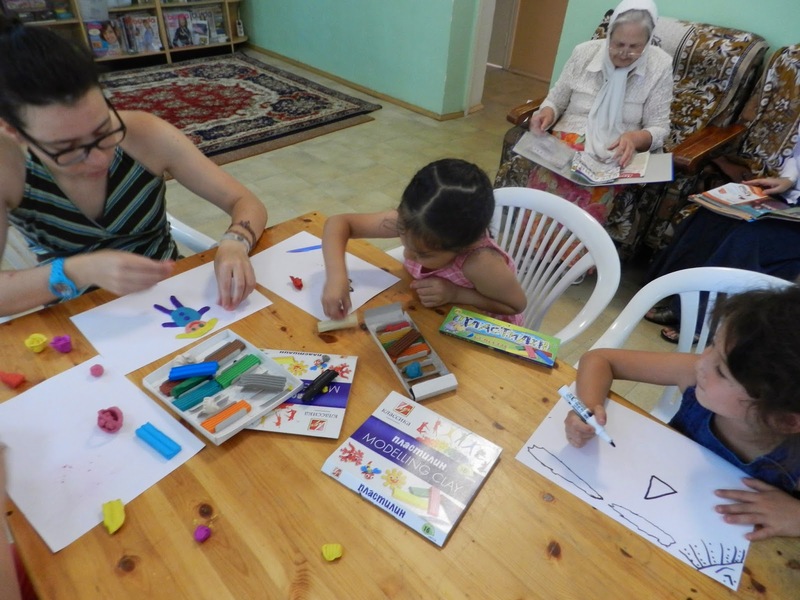 During art activities, children make greeting cards, paint ‘mandalas’, create towns in 3D format, etc. 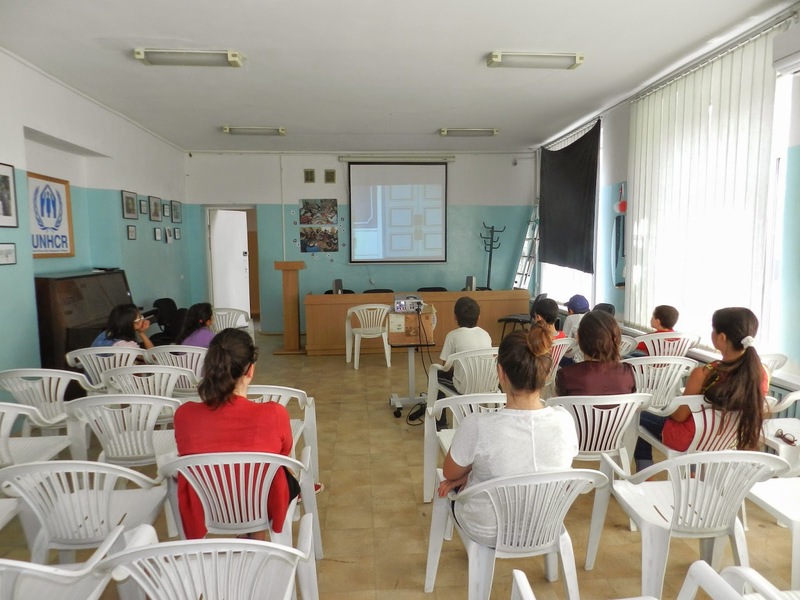 Moreover, children and their parents have opportunity to watch films, cartoons or play different games. 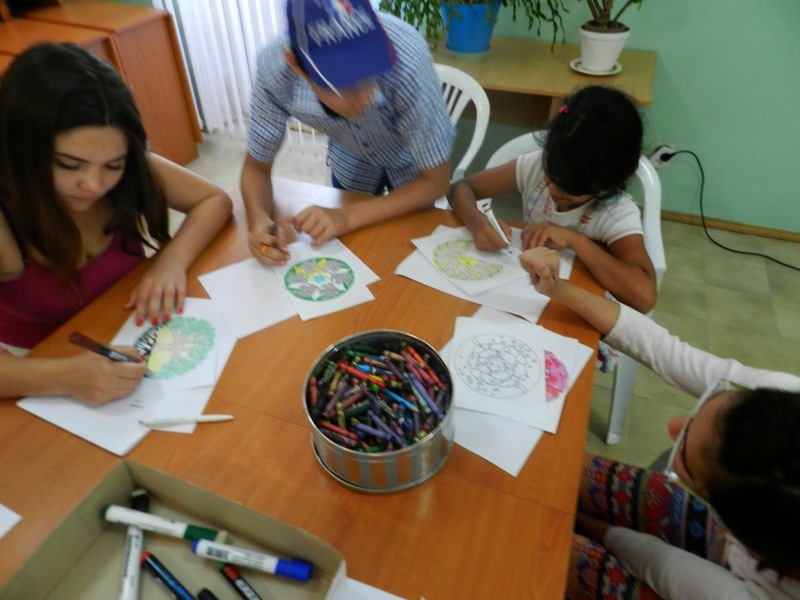 CCR is happy to see that children have fun creating and learning new things together at the Summer School. The School day ends with some refreshments. 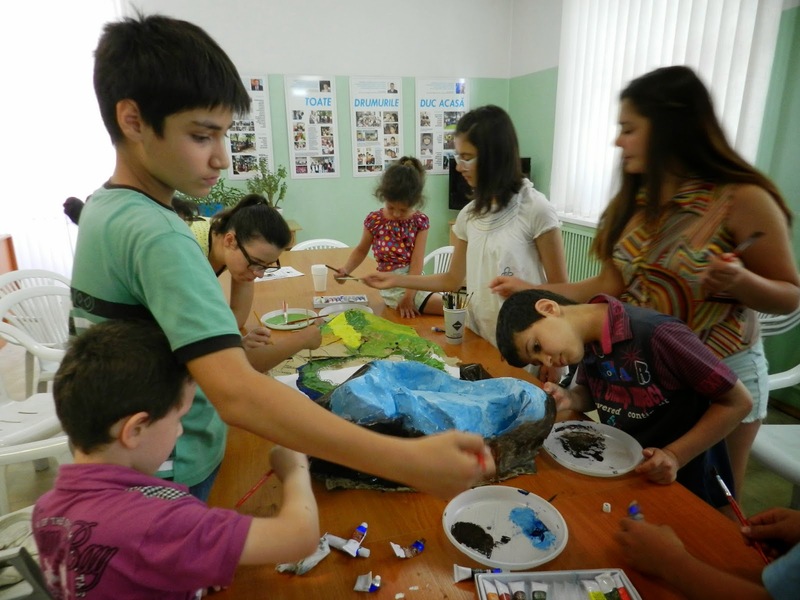 The Summer School builds a diverse community of approximately 15 refugee/asylum seeker children (from Syria, Uzbekistan, Kyrgyzstan, India, Iraq etc.) who share a common set of experiences (life in new country; trauma from living through violent conflicts; integration in a different society). 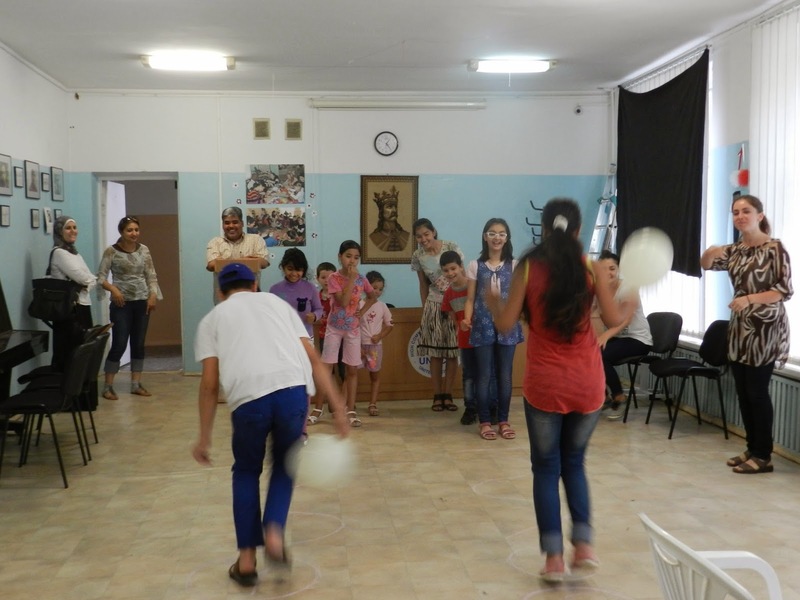 Through Arabic language and music lessons and other enrichment activities, the Summer School helps refugee/asylum seeker children to explore and understand their new community and develop self-confidence to succeed in school and in society where they have to integrate.